The flavors that made Garli Garni so popular with the zesty addition of lemon! This sprinkle is terrific on meats, seafood, veggies and more! Ingredients: Dehydrated garlic and onion, salt, spices, citric acid, lemon juice solids, modified corn starch, malic acid, natural lemon (modified corn starch, lemon oil, tocopherols (a natural Vit E used as antioxidants), parsley. 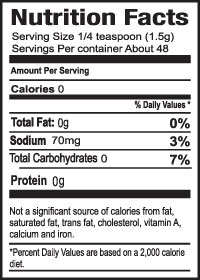 The tocopherols is a naturally occuring Vitamin E found in such foods as the natural lemon used in this item, nuts, fish & leafy green vegetables and, in this case. We know...it sounds horrible but it is not! I love the Lemon Garli Garni, it's full of the great flavor of the original Garli Garni with a robust of lemon!! I have used this seasoning for some time now. It has become a staple in my kitchen. I use it on veggies, stir fry, chicken, fish, etc. 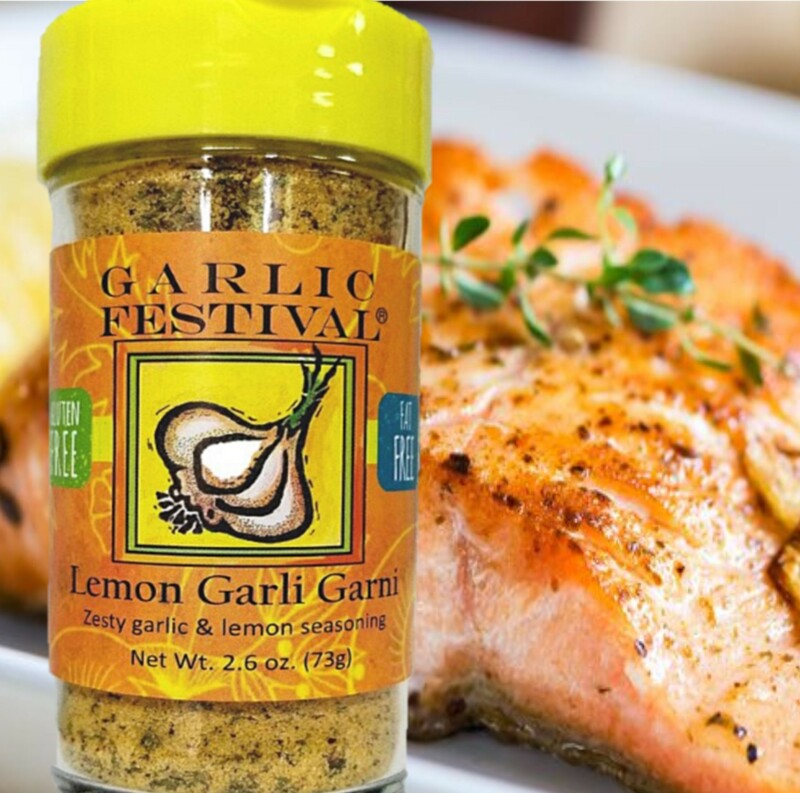 I love it as well as many other Garlic Festival Foods products. I put that s*** on EVERYTHING! SUCH a delicious seasoning!! I put it on all my roasted veggies, meats, and add oil to it to make a dipping sauce. Thanks for making all my food taste better! One of the best seasonings I've tried! I absolutely love this seasoning. I discovered it at an airport shop last time I was at San Jose airport It's great on chicken but I also use it to make guacamole and it is delicious! The Lemon Garli Garlic is truly magnificent! This is now our third bottle and extra replenishment bag that has been ordered. The bottle takes quite a beating over time so because the lid gets damaged, it is just easier to order a new bottle. We LOVE this seasoning, especially with fish, seasfood, fresh steamed vegies and chicken. I don't think a more than a day goes by when this Stuff isn't being used. I use this on Haricot Vert (thin green beans) with olive oil. Delicious! My all-time favorite for grilling planks of salmon! A little spray of olive oil on each side, and a medium sprinkling of Lemon Garlic Garni on the meat side. The best! I use the Lemon Garli Garni on salads, fish and chicken. It is excellent and adds a great flavor to everything.